As one of only two winners of the Opera Foundation’s Curt Engelhorn Competition, lyric mezzo-soprano Abigail Levis joins the Deutsche Oper Berlin for the 2016⁄17 season, in such roles as Mercedes in Carmen, the title role in Hirsch and Purcell’s Dido, Bersi in Chenier and Tebaldo in Don Carlo. She returned to North America in December to sing Messiah with the Toronto Symphony Orchestra and Portland Baroque. As an alumna of the Utah Opera young artists program, where she debuted the role of Despina in Cosi fan tutte, Ms. Levis returned twice as a guest artist during the 2015⁄16 season in the title role of L’Enfant et les Sortilèges and Cherubino in Le nozze di Figaro. She returns to Utah Opera in the 2018 season for Orlofsky in Die Fledermaus. Other season highlights include debuts with Opera Philadelphia as Testo in Il combattimento di Tancredi e Clorinda and Flora in La Traviata with Dallas Opera. In the winter of 2016, she appeared at Lincoln Center with Blier’s New York Festival of Song series and summered at the Lakes Area Music Festival as Hermia in A Midsummer Night’s Dream. In the fall of 2015, Ms. Levis was awarded first prize in the San Diego District Met auditions and spent a full season with the Domingo-Colborn-Stein Young Artist Program at Los Angeles Opera. She further appeared as Cherubino in Le nozze di Figaro and sang the role of Sesto in a concert version of Giulio Cesare in Egitto with Symphonie Atlantique in The Netherlands. Named “Debut Artist of the Year” by the Joy in Singing Foundation, this exciting young artist was hailed by The New York Times for her “lithe-voiced” performance at the Morgan Library in “First Songs”, a showcase of world premieres with soprano Dawn Upshaw. The Boston Musical Intelligencer praised her “dramatic style” and “high level of technical ability” in Israel in Egypt with the Handel and Haydn Society at Symphony Hall. 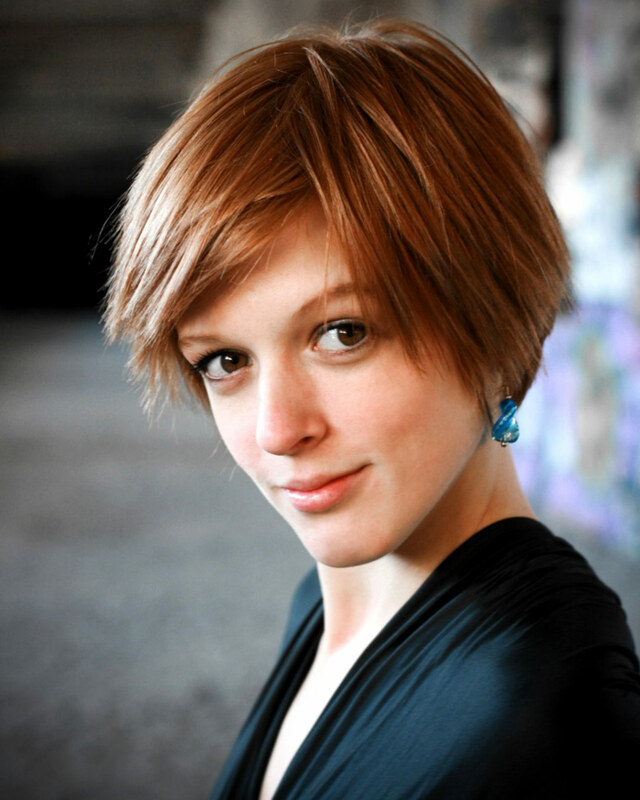 On the concert stage, Ms. Levis has appeared as a soloist with the American Symphony Orchestra, Flint Symphony, Cincinnati Symphony, Utah Symphony, Ars Lyrica Houston, and the New York Opera Exchange. She has been awarded prizes in competitions, including the 2013 Classical Singer Competition, and the 2013 Lyndon Woodside Oratorio Competition. In 2013 she was also awarded a Career Bridges Grant from the Schuyler Foundation. Ms. Levis enjoys singing in a variety of musical styles from Baroque to contemporary music, from opera to musical theater. Passionate about new music, Ms. Levis has worked closely with composers such as John Harbison, John Musto, Elena Langer, Tamzin Elliot, and Brian Suits. Favorite roles in opera or musical theater have included Rosina in Il barbiere di Siviglia, Dorabella in Cosi fan tutte, Cinderella in Into the Woods, Nancy in Albert Herring, Petra in A Little Night Music, Métella in La vie Parisienne, Romeo in I Capuleti ei Montecchi, Cherubino in Le nozze di Figaro, La Conversation in Charpentier’s Les plaisirs de Versailles, and the fox in Janacek’s The Cunning Little Vixen. Past competition prizes and awards include the 2016 Opera Foundation Competition, the 2015 Metropolitan Opera Auditions, the 2015⁄16 Gerda Lissner Competitions (Song and Opera), the 2014 Luis Mariano Song Competition, the 2014 Wilhelm Stenhammer Competition, the 2014 James Toland Vocal Arts Competition, the 2013 Lyndon Woodside Oratorio Competition, the 2013 Classical Singer Competition, the 2012 Joy in Singing Competition, the 2010 University of Houston Concerto Competition, the 2010 National Orpheus Vocal Competition, the 2011 Five Towns Music Competition in Long Island, and the 2011 Young Texas Artist competition. She has also competed in the semi-final rounds of the Veronica Dunne Competition, the Hans Gabor Belvedere Competition and in Placido Domingo’s Operalia Competition. She was also a finalist in the Cesti Innsbrunk Competition for Baroque Music.